I can’t say I’m surprised that it’s happening but i am shocked it took this long. 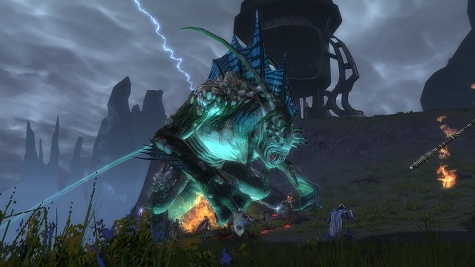 I was sure Rift would be heading down this path prior to GW2’s launch, which never happened. This announcement strikes me as a bit odd at the timing though. Perhaps they’ve reached do or die status or perhaps it’s just time. I am happy that Trion isn’t gating any actual content behind a cash shop, other than the Storm Legion souls and the normal inventory space that every game does. This will absolutely help in getting more players trying and possibly engaging in Rift down the line. This, however, doesn’t solve the problem that i felt Rift had when i stopped playing. The game was a ton of fun and what really set it apart was the soul class system. It was the closest thing to FFXI, which i always said had the best class system ever in any MMO. The ability to swap to whatever your group or raid needs on a whim is amazing flexibility. I loved swapping between a tank or dps or even a bard on my rogue. It made grouping so much easier. The problem with the game was it’s extreme focus on the “raid or die” mentality. I recall as if it were yesterday what Hammerknell did to the player-base. Personally, i loved the difficulty and the focus on only the best groups being able to complete certain bosses. Unfortunately this new raid eventually broke and destroyed 50% of the raiding guilds listed on the now defunct raiding progress website that the players created. The only way to recruit players to your guild was from dead or dying guilds. This is just unhealthy for the future of your game. There was a pretty good post on the official forums at the time outlining this and the path the game was headed down. How there would only be 1 or maybe 2 guilds per server that would even be able to fill or compete in the raiding game. I also recall how this post was looked down upon by the players, to which some even stated how consolidation of raiders was a good thing. My mind was blown how short sighted some people can actually be. Now, i haven’t been involved in the game for about a year now so maybe things have changed. Hell, the fact that there’s housing now is a huge step forward into giving players more to do other than raid. 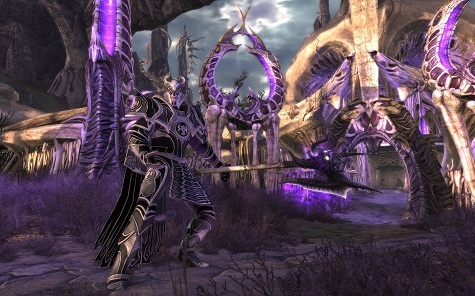 I can only hope that the news of FTP helps Trion build a player-base back to what it once was, but it’s up to them to provide more options for players to participate in.